ONCHAN, Isle of Man – February 11, 2016 – Duel by PokerStars, a new, innovative way to play poker, 1 v 1, has been launched by PokerStars, an Amaya Inc. (Nasdaq: AYA; TSX: AYA) brand. Initially exclusive to Norway as part of a limited beta test, before rolling out to further countries in the coming months. Based on the fundamental game mechanics of No Limit Hold’em - the world’s most popular poker game - Duel by PokerStars is a gaming app that lets players take on the world, one opponent at a time. With its clean, bright design and intuitive interface, it has been developed exclusively for iOS and Android smartphones. Just a few taps is all it takes for users to challenge their friends and other players around the world to this fun, easy to use, social experience. Duel by PokerStars has been designed to reflect the needs and lifestyles of smartphone users. Its turn-based format and 1 v 1 gameplay allows players to not only pick up and play at a moment’s notice, but also to leave the app in an instant and return whenever it’s convenient. 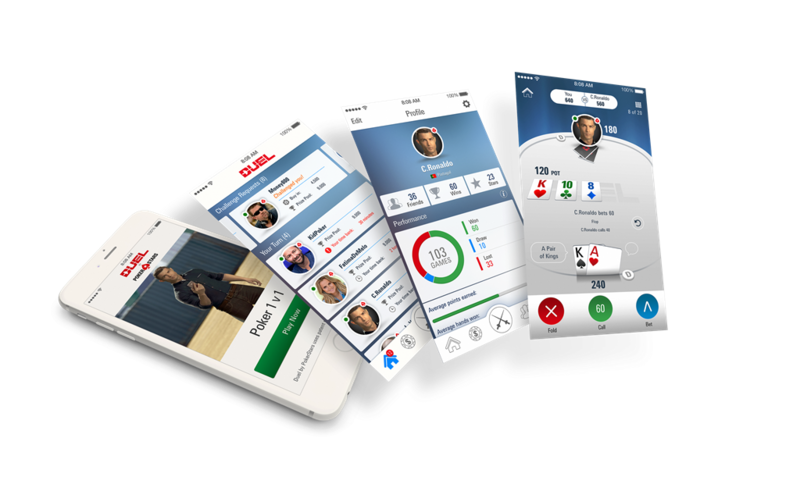 It’s the app that lets users play poker against friends and mobile gamers across the globe when and where they want. Whether playing for money or just for pride, Duel by PokerStars delivers a unique poker experience. Compete with opponents over a set number of hands and whoever has the highest score at the end wins the duel. It’s simple and accessible, yet features a depth of strategy entirely new to poker. “Duel by PokerStars is a fun way to play poker, in a format that is perfect for mobile phones. Whilst I could put the game down any moment, I don’t want to - it offers all the depth of one-on-one poker, but playable whenever and against whomever I want,” said Severin Rasset, Director of Poker Room Operations for PokerStars. PokerStars is developing the new app as part of a broader strategy to introduce poker to new audiences. This strategy includes serving people who want a form of poker that fits into their busy lifestyle: players who want to be able to challenge friends at their convenience, in addition to traditional forms of poker which might require longer periods of time to play. New players will recognise that the asynchronous ‘pick up and play’ style is more in tune with the mobile games they currently play, while the one-on-one format offers a golden opportunity to challenge their friends and win more than just bragging rights. A built-in chat box allows players to chat with friends. In addition, experienced players will benefit from being able to add Duel by PokerStars games to their lives whenever it suits them, giving all poker players a new gaming experience full of competition and drama. Systems, software and methods implementing Duel by PokerStars are the subject of pending patent applications in the UK.